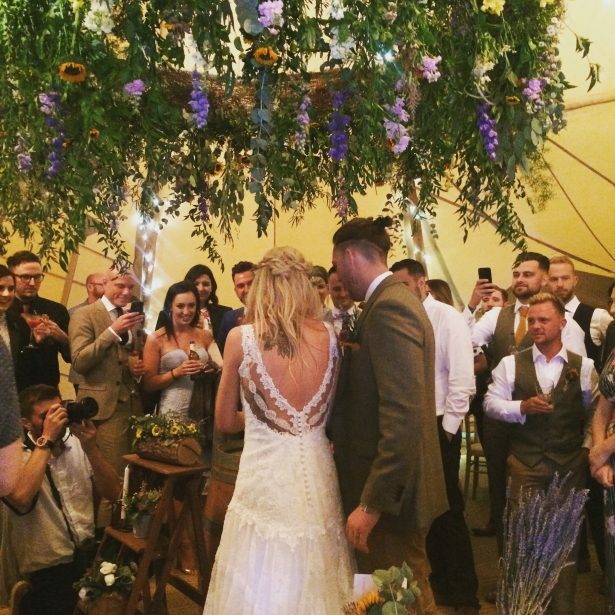 “From the very beginning, Gemma and Matt were everything you’d look for in a wedding supplier. We gave them our vision and budget and they went away and came back with everything we’d asked for and more! They were super quick in replying to our emails and calls and offered us a tasting session before our big day so we could change any bits we weren’t 100% decided on. Nothing was a problem and they made us feel completely at ease throughout. Every little detail was covered by them so we knew we were in safe hands which took a big weight off our minds. On the day, we’ve never seen 2 people work so hard in all our lives. They made sure everything was PERFECT and nothing less. Our guests couldn’t believe how amazing our food was and keep talking about it even now. We were 90% sure on the food we wanted for the wedding but loved that Aperyer had loads of creative suggestions to enhance our ideas and make it even better! 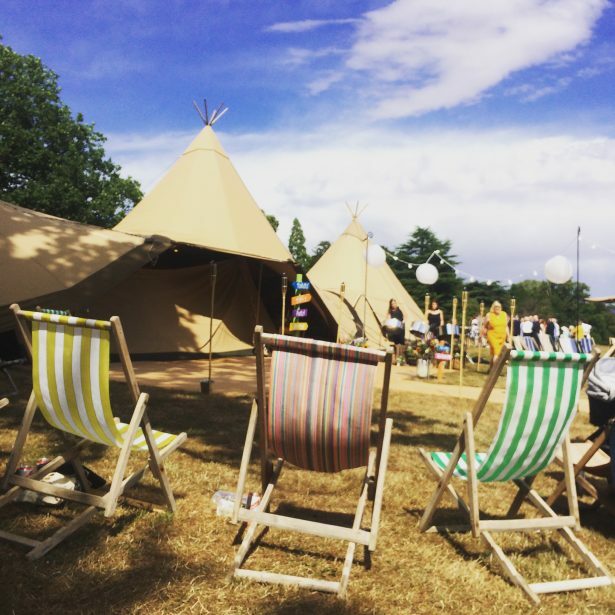 We loved that everything was exactly as we wanted and we didn’t have to compromise on anything, even with a vegetarian bride and MOH and several vegan guests – every one was catered for. Literally everything about the food was amazing but our favourite (which we wish we could have again) was the build your own dessert. Even to this day, our guests still talk about this particular dish (the Steak and Guinness pies get mentioned a lot too!!! 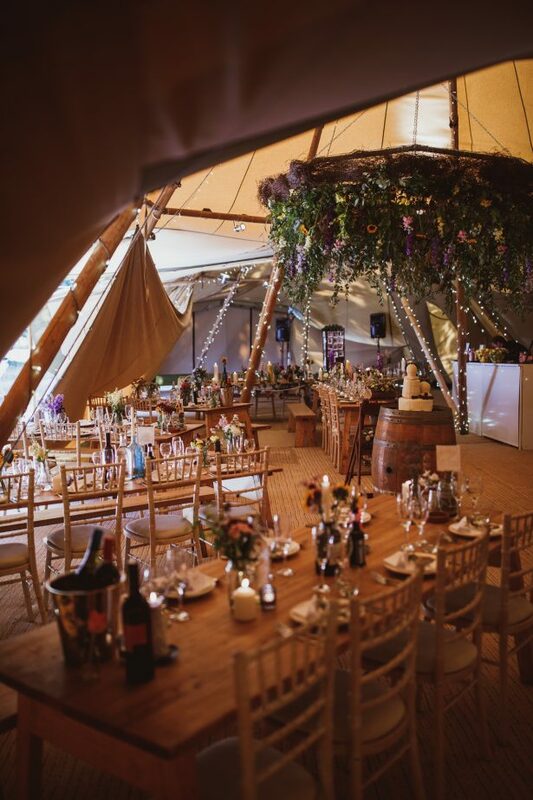 Emma and Ashley’s tipi wedding was held in the idyllic grounds of Cannon Hall, Barnsley, South Yorkshire. Buzzing with excitement and already well on the way with the wedding planning they had some fabulous ideas for their catering and it was a pleasure working with them to bring these ideas to life. 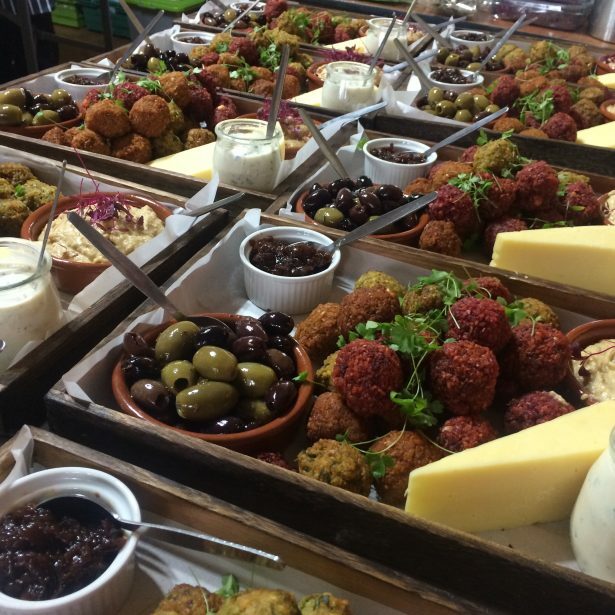 We loved creating a menu which reflected their taste and ‘story’ … Beginning with Caribbean canapes as a nod to Jamaica where they got engaged, hearty pies with a Yorkshire twist for the main meal (and the controversial inclusion of Bespoke Sheffield Wednesday Henderson’s relish bottle! ), the ice cream sundae to end all ice cream sundaes as dessert, then his ‘n’ hers favourite pizzas into the evening – this was a menu that really captured the couple and the things they love. The couple considered every single detail and worked really worked hard to put their own stamp on things down to the skull embossed wedding cake made by the groom’s sister, herb bundles by the bride’s mum, and a homemade personalised photograph seating chart (find your picture, find your seat!). 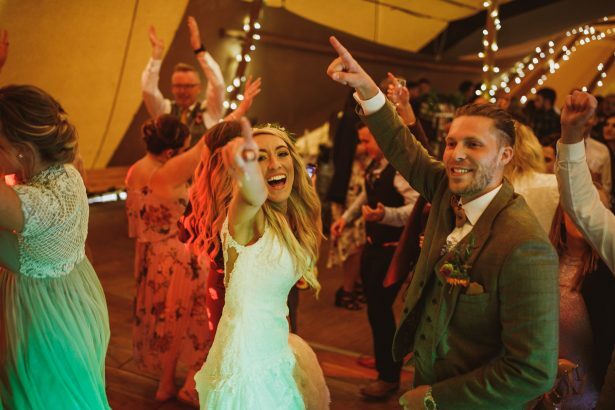 On the day, the couple’s hard work and effort paid off with the most beautiful reception filled with colour, fun and laughter and a spectacular dance off into the wee hours. 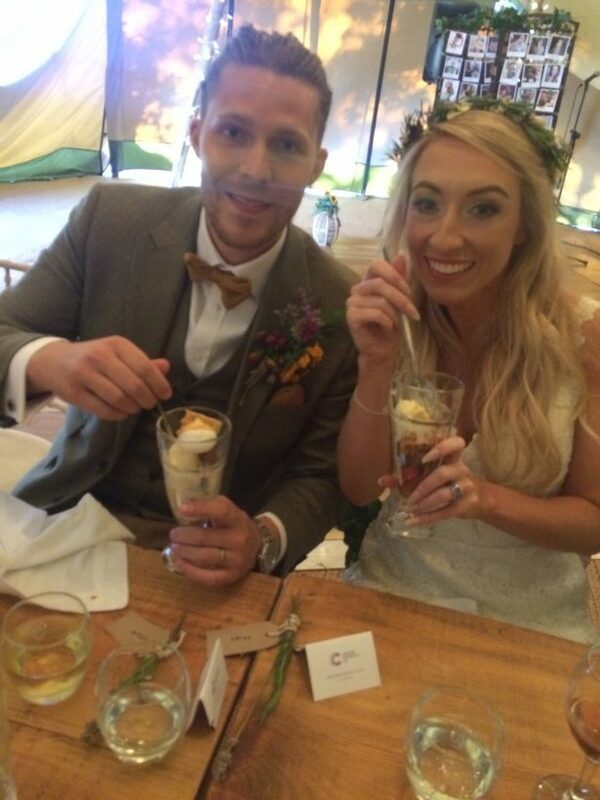 What a pleasure to be a part of and congrats to you both Mr and Mrs Green! Inspired by the proposal in Jamaica served on banana leaves alongside cans of red stripe, a rum punch cocktail and a steel band! Served with classic buttery mash, mushy peas and whole roast shallots in rosemary and thyme. Each table also got their own ‘toppings bar’ with crispy fried onions, bacon bits & grated cheddar cheese as well as a bottle of Sheffield Wednesday Henderson’s relish (at the groom’s insistence) and lashing of gravy of course! 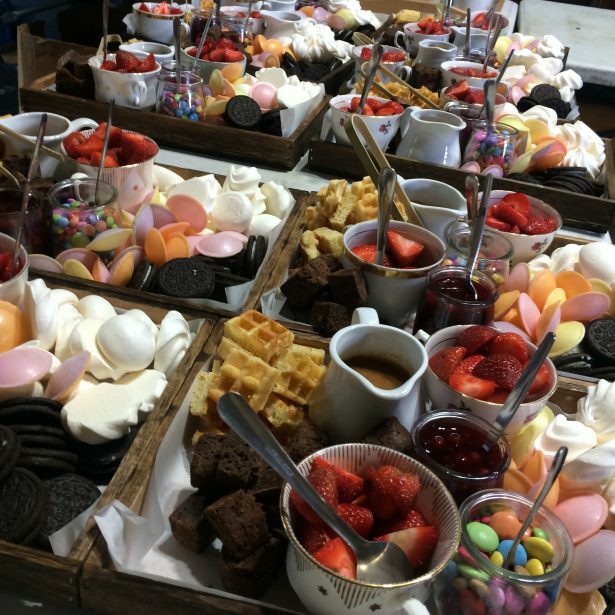 Mini meringues, brownie bites, strawberries, American waffle pieces, hot fudge sauce, summer berry compote, vanilla ice cream, Smarties, Oreo’s and Flying saucers! !